Something I learned back from when I was younger still stays true today. Growing up, toys imported from Japan always seemed to look better and function better. Chocolates tasted, well, more chocolate-y and chips were just fabulous, remember crisp cake and chubby corn? A few of my childhood favorites. I don't mean to sound anti-country or pro-Jap, but face it, there's some truth behind it right? I mean Kit Kat is Kit Kat but why does Kit Kat from Japan taste 100x better? I think it stems from the Samurai way of thinking and how the Japanese will accept nothing but perfection. 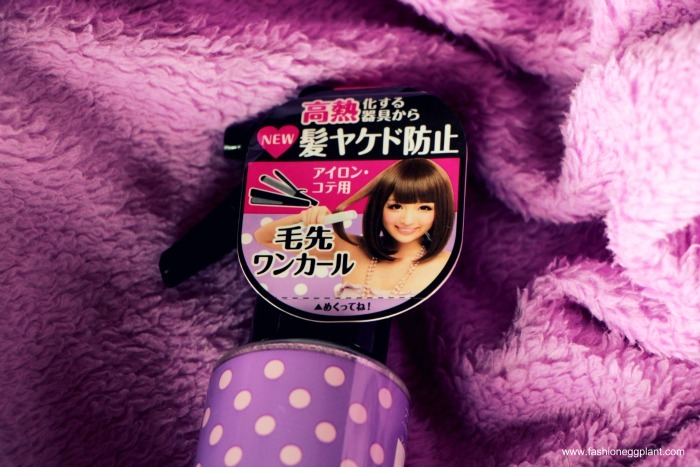 Through the years, I've tried several Japanese beauty products and none have failed me yet. In fact, I almost always instantly fall in love and they end up part of my daily beauty routine. 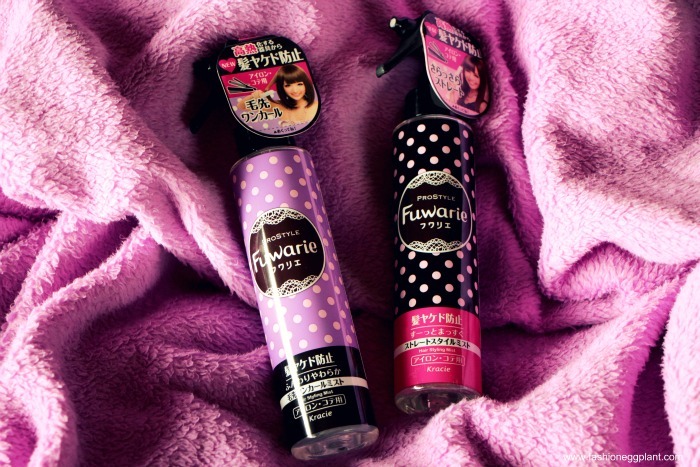 I was gifted a couple of bottles of Prostyle Fuwarie by BeautyBox a few days ago. As is my ritual with most beauty products, I google them first before using and check other reviews online just to be safe. No kidding, but ALL the reviews I came across weren't just positive or pwede na, they were RAVE reviews from women of all different nationalities. I'm not exactly sure which category Prostyle Fuwaire fits in. It seems to me as if it is in a class of its own. Prostyle Fuwarie sort of acts like a hairspray, argan oil, hair serum and hair sunblock (if there is such a thing) all in one nifty spray bottle except it's invisible and you don't feel like there's any product at all on your hair. Even if you happen to be trigger hapy and spray enormous amounts, it will still feel like your hair just came out of a shower. It's a miracle, I know. I don't know how they do it but they do and I'm just left amazed. And by the way, it also protects your hair cuticles from the heat of hair styling tools, repairs it, and prevents hair breakage and hair discoloration from heat. Amazeballs talaga. And it's also very easy to use. Just spray on your hair until it's slightly damp and style the way you usually do. The result? My hair stayed perfect all day. It didn't change much from when I first left the house and it also had a lot more volume and shine. I heard it works the same way for curls, they stay on all day. Anyway, I liked it so much the that I decided to go out and get a new haircut with full bangs just so I can use it to its full advantage. First time a product ever made me do that. Galing talaga, I swear. You know what else it's great for? Days when you think you're just staying home so you get in the shower, get out and just let your hair air-dry since there weren't any plans for the day and then all of a sudden someone calls and you have to step out but you're left with either frizzy or limp, shapeless hair. No more hats or srunchies my friends. Just spray on some fuwarie, blow dry or iron and your good to go. At P450/bottle, the verdict is obvious. It is definitely worth every penny and I highly, highly recommend it. 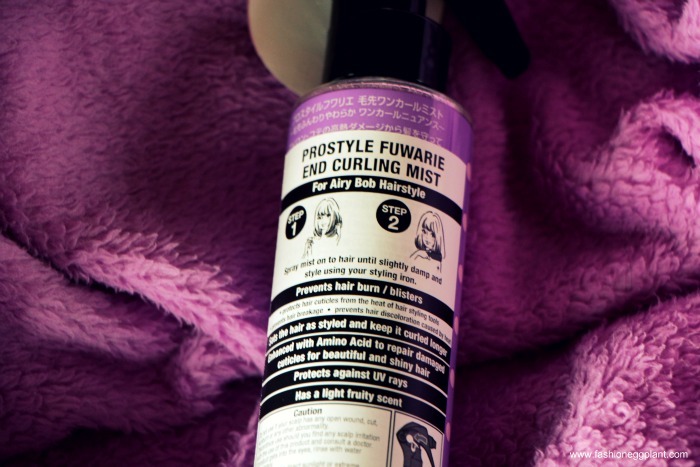 Prostyle Fuwarie comes in three variations, one for a straight and smooth hairstyle, another for curly and bouncy hair, and lastly, the one I now swear by, the airy bob variation. Pick the bottle that's best for your hair at all Beauty Bar branches. For more info, LIKE ProStyle Fuwarie Philippines of Facebook or Follow them on Twitter.